I’ve found the discouragement of my situations debilitating at times. It feels as though I’m losing the fight and my life is crumbling into pieces. I’ve grown discouraged in feeling God near and working in my circumstances. How often I forget that God never intended us to carry the weight alone. We have a powerful tool to help equip us against the enemy and struggles of this world. I have to admit the excessive amount of time I’ve spent discussing my problems with others and my thoughts running rampant, instead of handing them over to God through prayer. How I overlook the power of prayer and handing my needs over to God so He can work through them effectively. 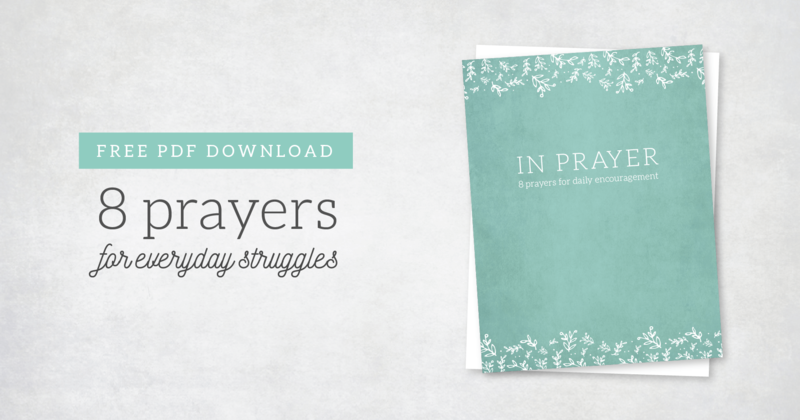 I decided to put together eight prayers that have been on my heart recently. Prayers I have prayed in intimate moments in my own personal walk with God. I hope that you could find them as encouragement in your prayer life as well!